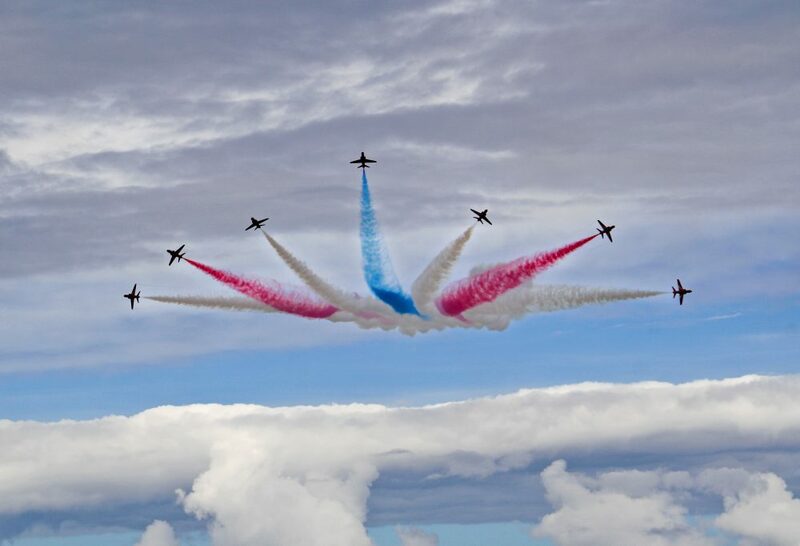 The famous Red Arrows, a Spitfire squadron and The RAF Falcons Parachute Display Team will be flying up the coast, over Filey to celebrate the bravery of our armed forces. The Red Arrows, one of the world’s most famous aerobatic display teams, will take the distinctive Hawk jets to the skies for 15 minutes with their legendary formations and smoke screen tricks. The aircraft will be seen flying past Filey at around 12.55pm on Saturday the 24th of June, on their way to Scarborough.